Ceský Krumlov is an outstanding example of a central European small town dating from the Middle Ages that owes the structure and buildings of its historic core to its economic importance and relatively undisturbed organic development over some five centuries. The town grew up within a meander of the Vltava river, which provides a natural setting of great beauty. Its evolution over time is evident with startling clarity from its buildings and its urban infrastructure. It has profited from a relatively peaceful history in that it has retained its entire medieval layout and most of its historic buildings relatively intact. Restoration and conservation has been slight and so there can be no question as to the authenticity of both the townscape and its components. My biggest regret in the Czech Republic is not scheduling more time to spend in Cesky Krumlov. This is a great town and should be a priority for everyone who plans to visit the Czech Republic or North-East Austria. The entire city center is a walled fortress and looks like it came out of a storybook. It might be the most under-appreciated attraction I’ve seen in Europe. The Historic Center of Cesky Krumlov is a small city in the South Bohemian region of Czech Republic. It was named one of the cultural sites in the country by UNESCO in 1992. The city was built around a 13-th century castle that incorporates Gothic, Baroque and Renaissance elements. This town was recognized by UNESCO for its outstanding showcase of how the architectural heritage of a small European medieval town has remained intact for several centuries. This has been made possible by the peaceful evolution of this humble medieval town in Europe. Cesky Krumlov is a town located along the banks of the Vltava River in the Czech Republic. 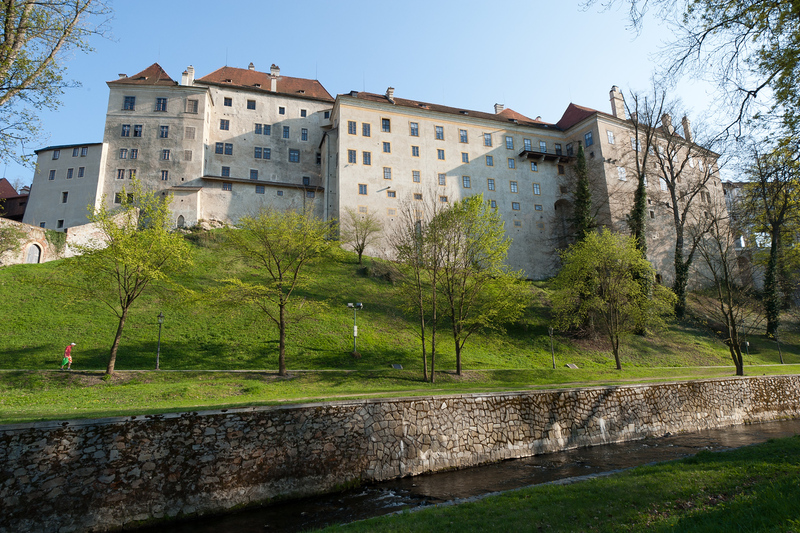 A magnificent castle built in the 13th century is the main feature of the Historic Center of Cesky Krumlov. This castle is known for its integration of various architectural styles and elements into its construction. In addition, the river meanders along the rocky slopes on the sides of the castle hill. Hence, this provides a beautiful backdrop for this medieval castle that looks like it was taken off a page from a storybook. The picturesque neighboring landscape of the Historic Center of Cesky Krumlov is one element that has endeared this town to tourists. However, it is best cherished for its outstanding architectural heritage. This town has undergone a peaceful revolution for centuries, which has contributed to keeping the architectural heritage intact. This feudal town was owned and under the control of a few powerful and noble families that helped to shape the political, social and economic landscape of the town. 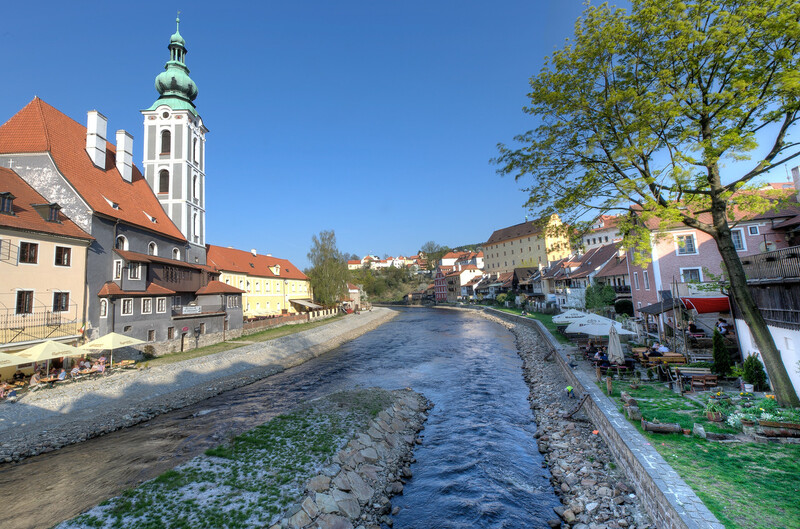 Since Cesky Krumlov was established as a town during the Middle Ages, it has undergone transformations during the Baroque and Renaissance period. 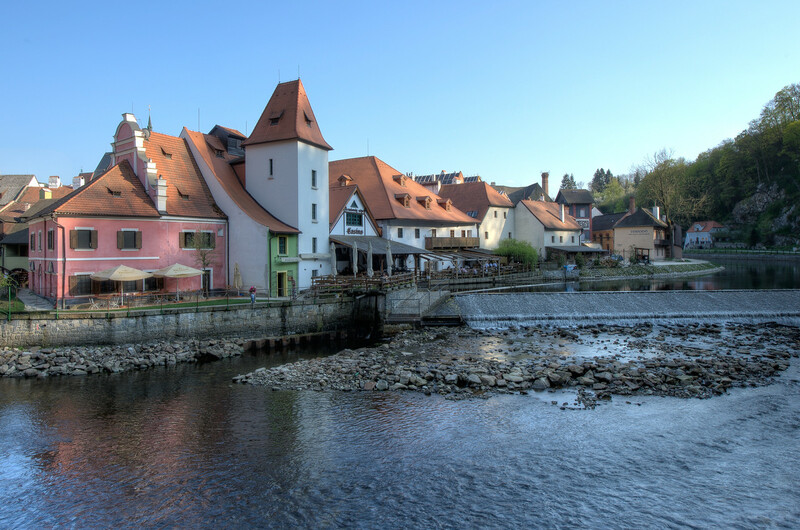 These transitional periods left behind their influences in the way of life for the people of Cesky Krumlov, which is most evidenced and preserved through its architectural landscape. The Historic Center of Cesky Krumlov, which is honored for its universal cultural heritage and value, includes the historic center and the former aristocratic residence within the area. However, there is also a buffer zone around the area. The visual integrity of this cultural property is not currently threatened; however, UNESCO and the local authorities governing this world heritage site are cautious about allowing new construction along the boundaries of this property as it could potentially threaten the integrity of the world heritage property. 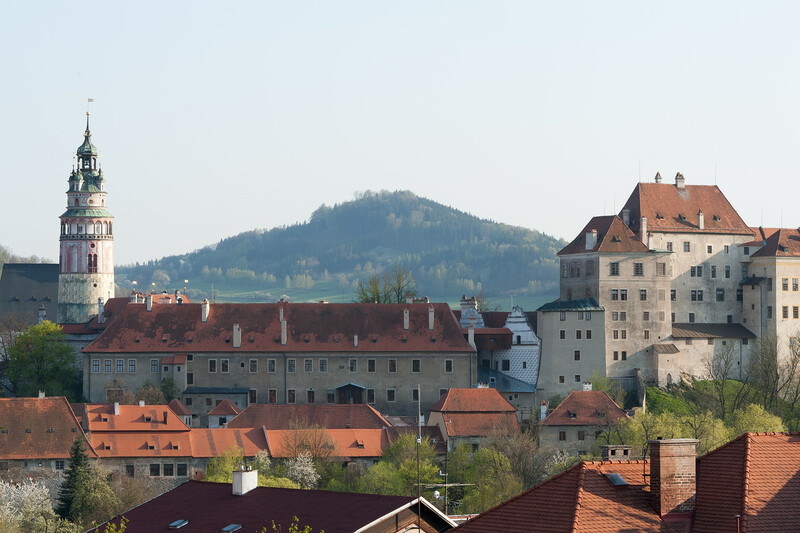 The Cesky Krumlov Castle is the heart and most focal point of the Historic Center of Cesky Krumlov. This castle is unusually large for such a small town, which also explains why it is a notable landmark. Within this castle is a large complex that includes a large rococo garden, extensive bridge, and the castle itself. The castle itself has many different elements that incorporate various style elements during different time periods. This castle is living proof of how the town has undergone major transformations over a period of several centuries. The Church of St. Vitus is a Gothic church, which is also one of the most notable landmarks and tourist attractions in Czech Republic. This church is located inside the Cesky Krumlov Castle. 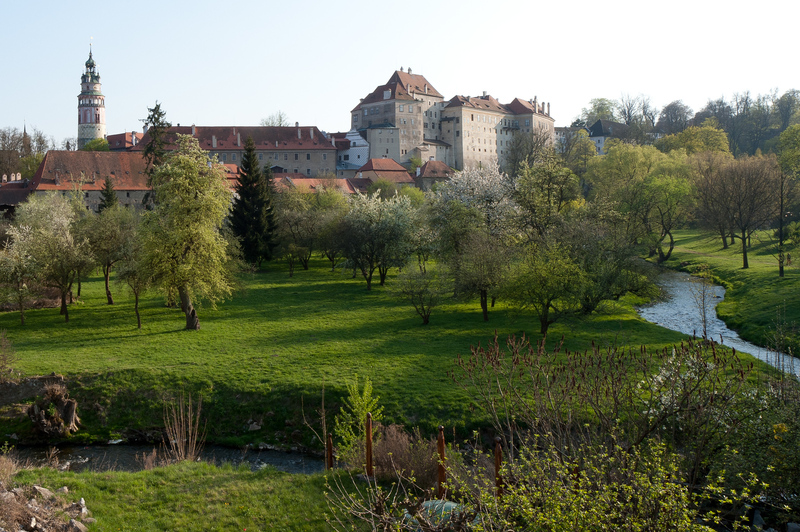 There are several ways to travel to Cesky Krumlov and visit the town’s historic center. 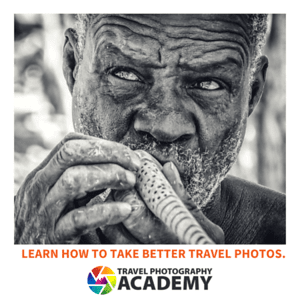 The first option is to travel via bus. From Prague, you can take the public bus to Cesky Krumlov. There are 2 bus trips that travel from Prague to Cesky Krumlov daily. Some bus companies even run up to 8 buses per day. The Czech Railways is another option. Take a train ride via the Prague Hlavni Nadrazi train station. The train leaves every 2 hours and the entire trip will last for nearly 3 and a half hours. I spent a few lovely days in CK back in 2005. Unfortunately, my camera was soon stolen and none of my photos from there survive. =( Would love to go back though! I remember the ice cream there as being a special daily treat! Cesky Krumlov is really quiet beautiful but you don’t need more than a day or two since it is really small. Make sure to arrange a tour if you want to see the castle. It is not open to the general public. Good to see you got to another world heritage site Gary. So envious. Love Cesky Krumlov. Looks like Disneyland!